Private guitar lessons are available in 15-minute (for very young beginners), 30-minute, 45-minute, and 60-minute formats. 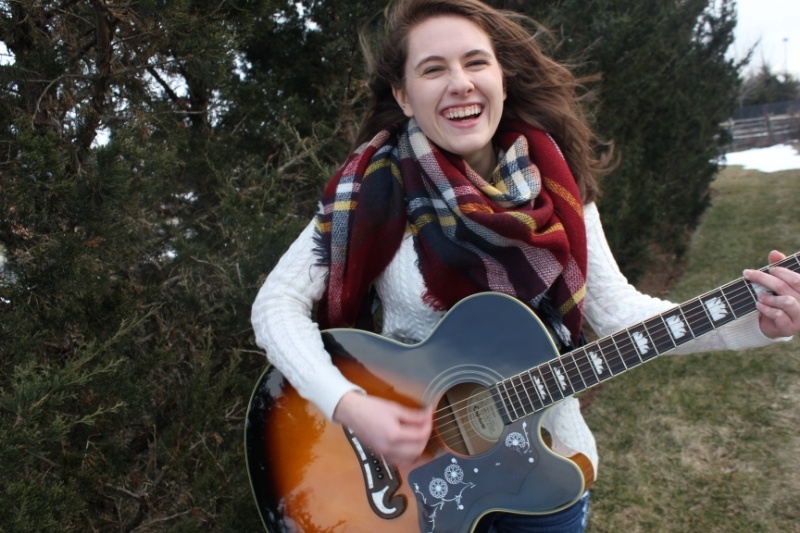 We have instructors in several areas of specialization, including Classical Guitar Lessons, Electric Guitar Lessons, Bass Guitar Lessons, as well as Jazz Guitar Lessons. If you've made up your mind and already know which guitar style is for you, just let us know, and we'll sign you up with the appropriate teacher. For guitar beginners, our general recommendation is to start on the nylon-string guitar, before playing other types of guitars. Due to its construction, the nylon-string guitar is much easier to start on and not nearly as harsh on the skin of the player's fingers as a steel string guitar. Some students stick with the nylon-string guitar as they progress, eventually growing into the full-size classical guitar. Others, and especially teenagers, can't wait to get their hands on their first electric guitar--and join a Band! What Guitar Size Do I Need? We are asked this question very often, and it is a very important one to answer properly! If you're an adult at least 5' tall, you'll likely find that the full-size guitar fits you perfectly. Issues pertaining to guitar size arise when students are younger or shorter, and the question of guitar size is of critical importance for young beginners. 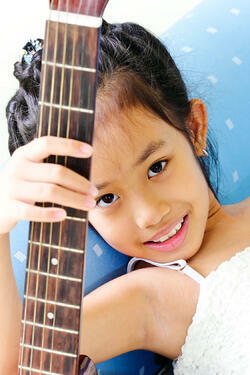 Find out what the right guitar size is for your child! Especially for young beginners, choosing the proper guitar size is extremely important. Students playing a guitar of inappropriate size tend to experience frustration in trying to master the instrument. This may cause them to drop out of guitar lessons altogether, assuming, erroneously, that the guitar is just not for them. An instrument that is either too large or too small also leads to the development of wrong playing habits, which can be very difficult to correct later on. Guitar size depends primarily on the student's height and arm reach. With that in mind, the following charts provide some basic suggestions to help you find the right student guitar for your child. Measurements in inches refer to total length of the guitar. Please note that in addition to overall length of the instrument, there is great variation in the construction of guitars (body shapes; tone woods; neck width; scale length; etc.). These affect the way the instrument "feels" in relation to arm length, hand size, and finger strength. Therefore, we recommend that you see a guitar dealer and test different sizes and models of guitars before making a final decision. Schedule Your First Guitar Lesson!